For over 22 years, Sandy Spin Slade was considered one of the best basketball handlers in the world, performing for thousands at NBA half-times, schools, and special events around the globe. In 2002 she revolutionized the educational market by introducing Skillastics®, the #1 large group physical activity resource that allows all children to have a positive experience being physically active in an environment that highlights individual strengths. Skillastics has been enjoyed by over 10 million students in over 25,000 education settings nationwide. 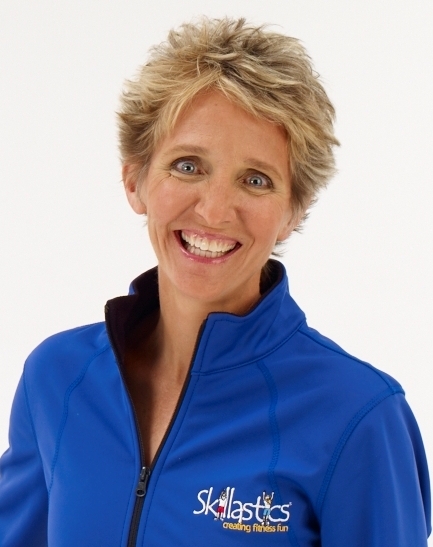 Sandy is also known for being one of the premier session speakers/presenters at Physical Education & After School Conferences throughout the country, inspiring thousands to enjoy all the benefits physical activity provides. In 2014 Sandy introduced Fitivities, an award-winning game that transformed the highly successful “Skillastics technique” into a home version for the whole family to enjoy. Fitivities is sold through Amazon and is popular among active families and homeschoolers. In January, 2017 her High School Ala Mater named their gymnasium; Sandy Spin Slade Gymnasium in her honor.